We’ve taken you behind-the-scenes in the food world with looks into the blogs of food photographer and stylist Adam Milliron, as well as breakfast enthusiast Marta. But what happens before all those beautiful feasts get made? 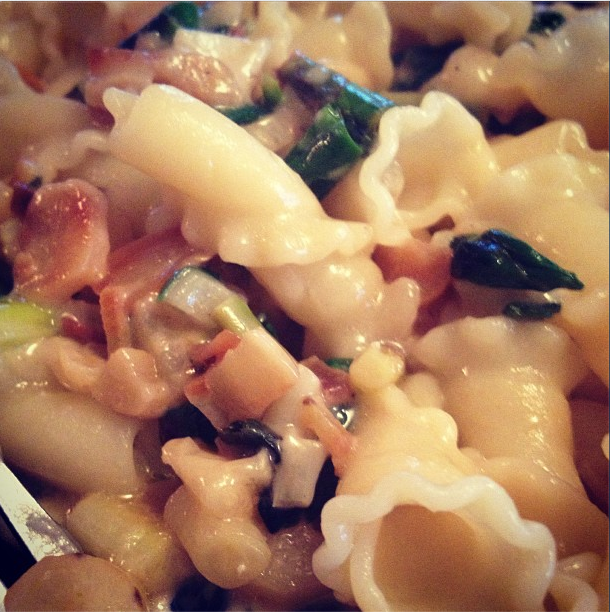 Enter food buyer Kate and her Tumblr Lovage Me Tender. Kate purchases food for a Brooklyn restaurant, as well as big dinners of her own, and she has a penchant for capturing the freshest food available at New York markets and nearby farms. On her Tumblr you’ll find baby goats (yum), fresh greens that go far beyond ramps, and recipes to take those market finds to the next step. Whatever season it is, you can be sure you’re getting the freshest grub around, before it’s cool. 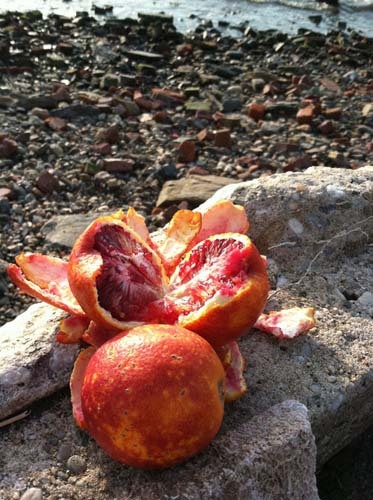 Become a connoisseur of “fresh” by following Kate’s Tumblr and clicking through the gallery above. All photos courtesy of Lovage Me Tender. 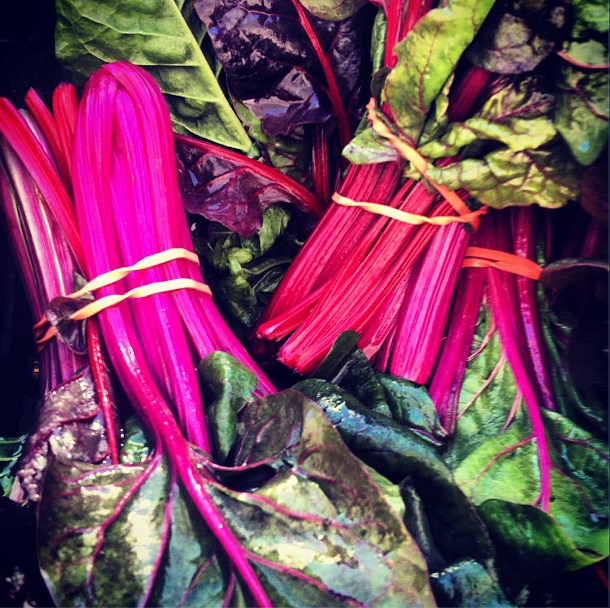 This fluorescent pink chard probably glows in the dark. 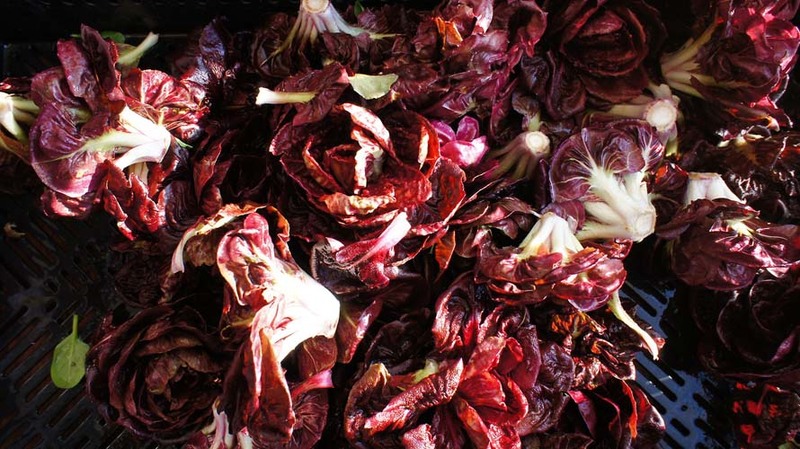 Radicchio rosettes get their close-up, and they've never looked so glamorous. 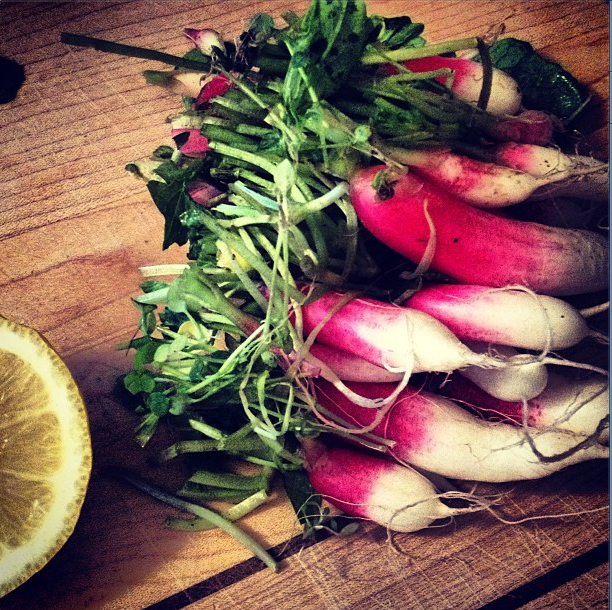 French breakfast radishes never looked so good. Sometimes, Kate breaks out a recipe of her own. 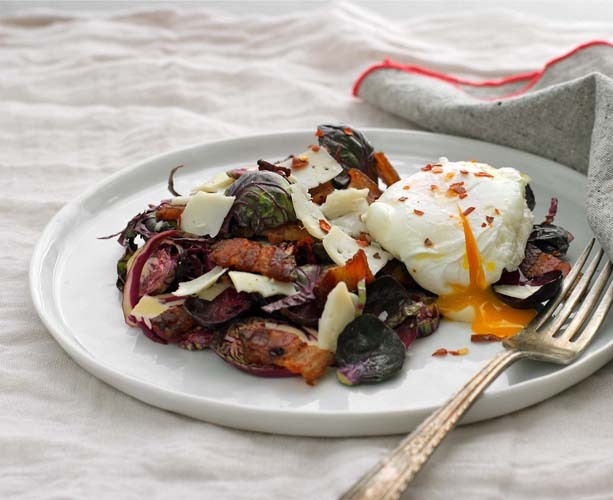 Here, purple Brussels sprouts with poached egg. 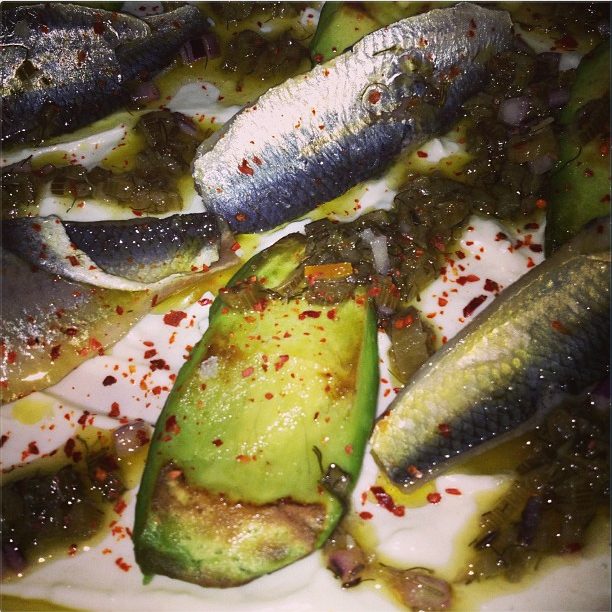 Chefs (like this one at Franny's) sometimes reward produce buyers with treats like roasted avocado with sardines and Meyer lemon yogurt. 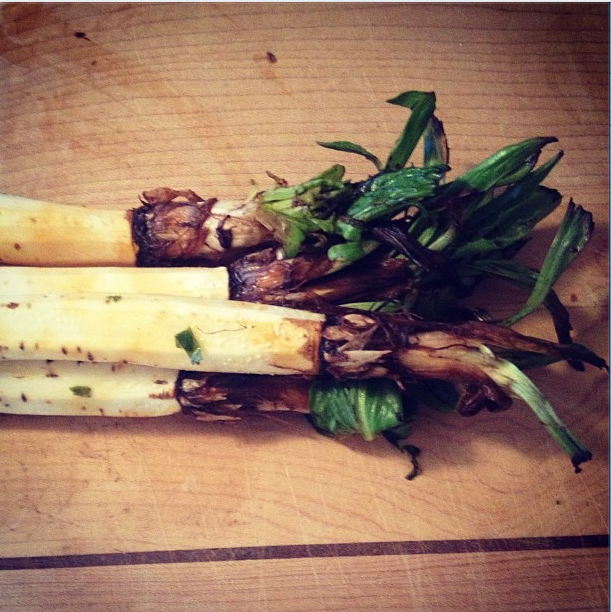 A tasty sampling of sfoglini trumpets with ramps and salsify at Consider Bardwell Farms in Vermont. 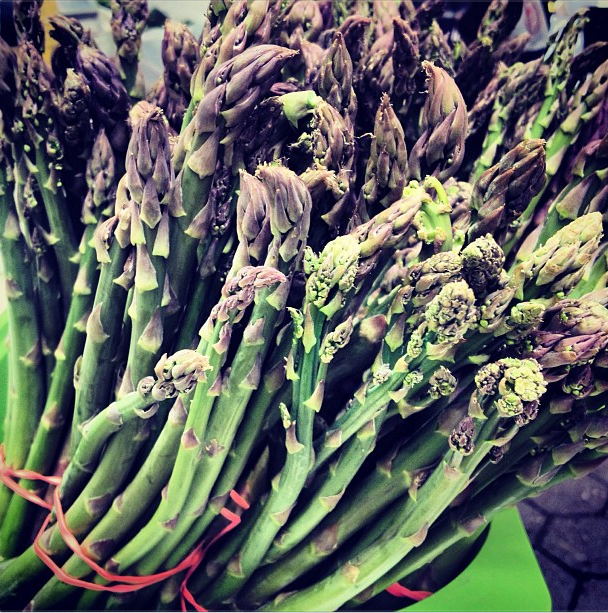 While everyone is clamoring for ramps, Kate finds the first asparagus of the new season at Dag Hammarskjold Plaza. 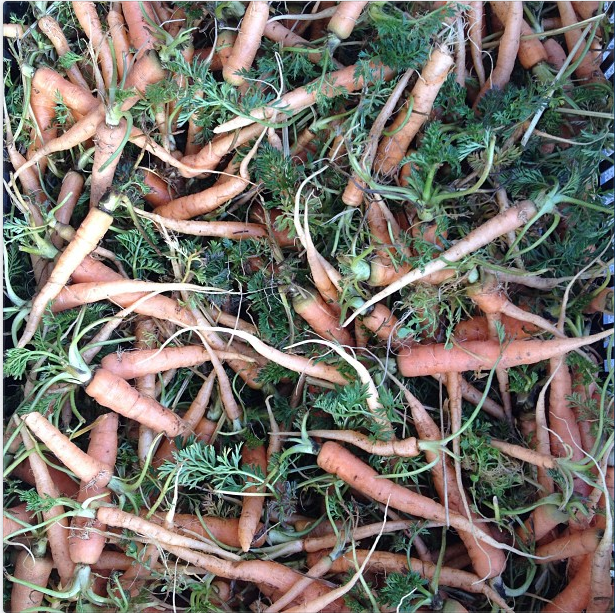 "The babiest, localest, sweetest carrots" ... enticed yet? Oranges bloody, beaten to a pulp—just how we like them. Peeled salsify awaits its turn in the kitchen. 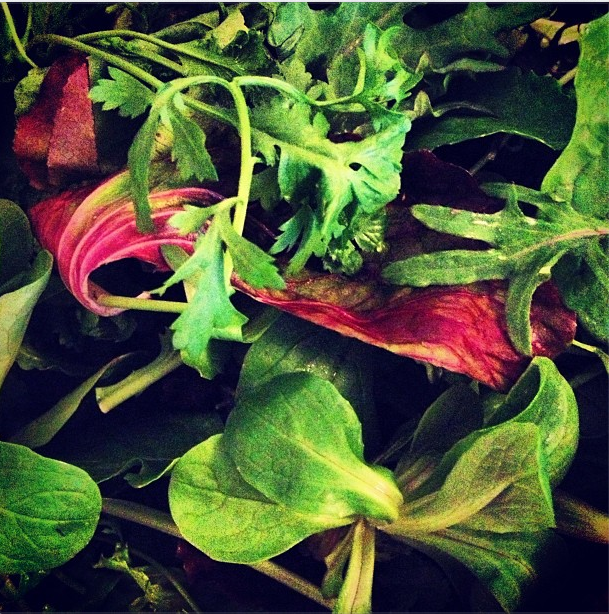 Fresh greens, including peppercress, mâché, and arugula at USQ Greenmarket. 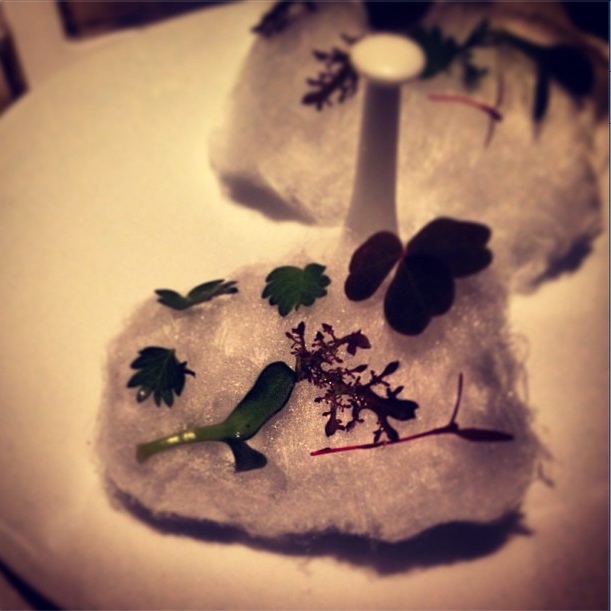 Herb sea salt cotton candy amuse from Corton in Tribeca. 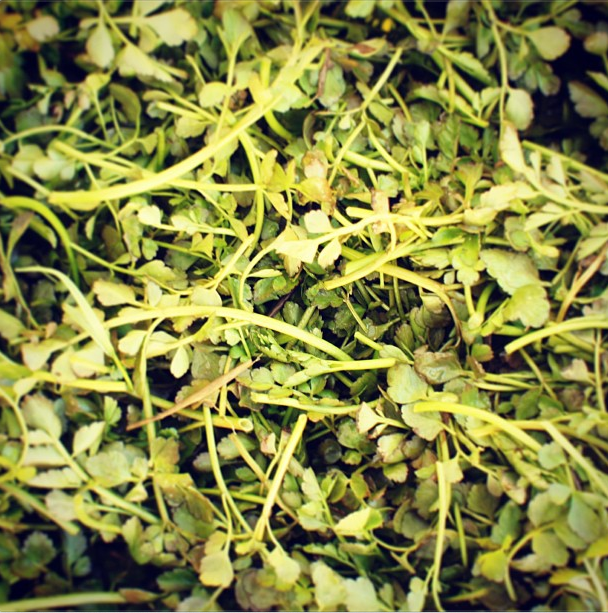 Korean watercress popping up in a USQ Greenmarket stall. 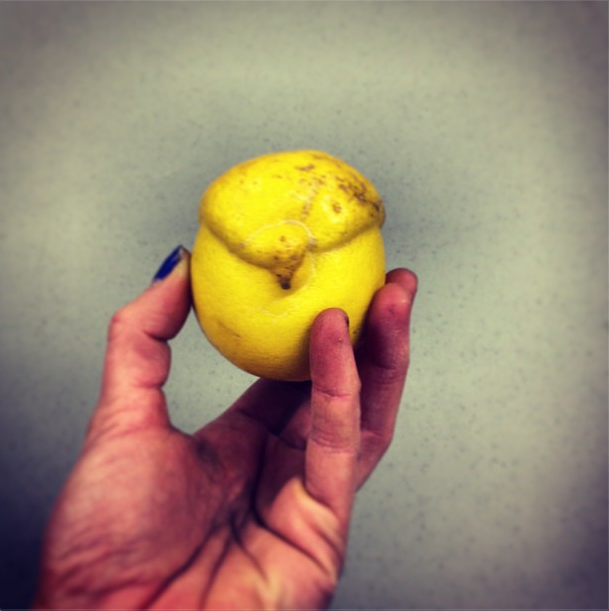 This mutant lemon at Quinciple has a mohawk. 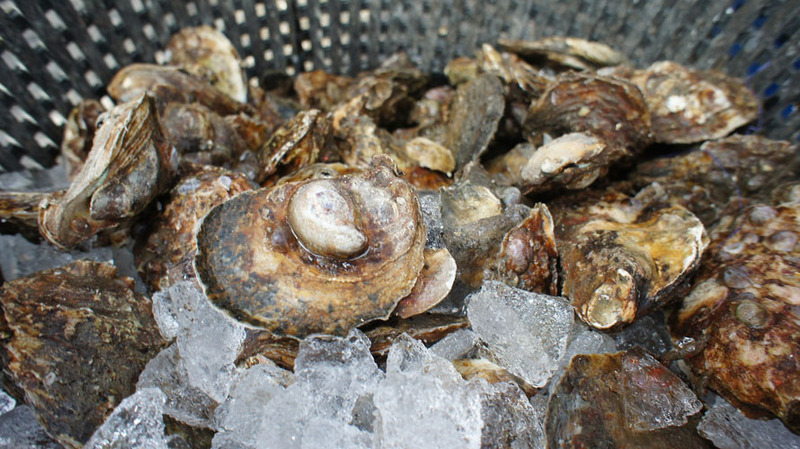 Just-opened oysters at the Carroll Gardens Greenmarket.